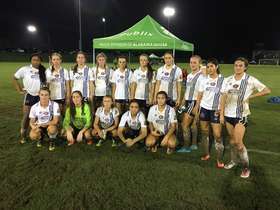 The Ft Lauderdale FC 98/99 girls have had an extremely busy Fall/Winter season. 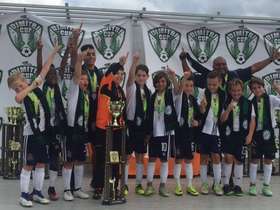 They played in the highly prestigious Southern Region Premier League and placed 4th, beating top teams from Georgia, South Carolina, North Carolina, and Alabama. Their travels took them to many cities throughout the southeast. 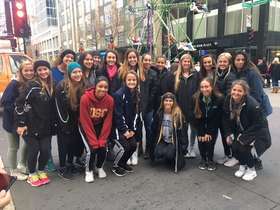 Soccer was mixed in with college campus visits, as well as excursions to many local attractions. The girls led by Coach John Earle, also competed in two of the top college showcase events, CASL and the Disney Showcase. The girls play has been recognized by dozens of college coaches and many have college offers from the NCAA D1 level, NCAA D2, and to some very prestigious NCAA D3 schools, to continue their academic and soccer pursuits! Congratulations to this group of young ladies for their dedication to make this team a continued success. 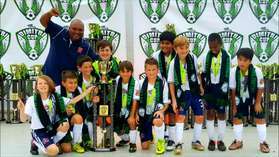 U11 Boys Blue Win Dimitri Cup Finals! Congratulations to our U11 Boys Blue for winning the final at the Dimitri Cup Tournament! Club Fundraiser - Open Goal! 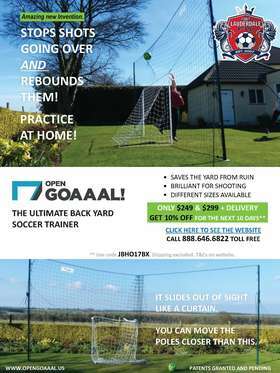 Open Goaaal allows kids to have fun, play with friends or alone, without damaging the garden or having to chase after the ball. For every open goal product purchased our club will receive a percentage back. It's a win/win! Congratulations to our U11 Boys White team for winning the final at the Dimitri Cup Tournament! We are Proud of our Girls! Their faces tell the story of determination. FTLFC 98/99 Girls defeated the #3 ranked Team in South Carolina, 3-1 Win. Way to Go Girls! We are just getting started.